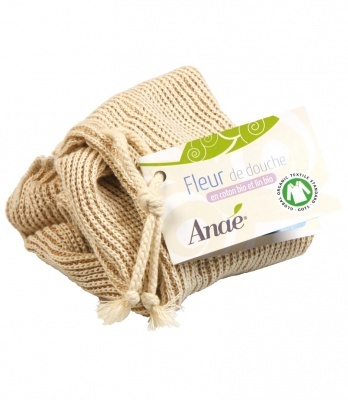 An organic shower puff, great for lathering up soap naturally. Gentle on the skin and makes your bar of soap last longer too. Made from certified GOTS organic cotton. This organic shower puff has a cotton drawstring which is handy for storage and drying in-between use. After use, wring out the shower puff and stretch it as much as possible to dry it in the open air. Hang to dry. Hand wash recommended (30 ° C).